The HTC U11 was arguably the best flagship phone from HTC in some time. While it didn't feature the 18:9 aspect ratio and thin bezels that the competition sported, HTC made up for these oversights with the HTC U11+. One small problem though; the HTC U11+ was not widely distributed, and certainly was not available in the U.S. Keeping all of this in mind, you would expect that the HTC 12 will have all of the features that came with the U11+ Besides the thin bezels, that would include an IP68 certification rating and a large capacity battery. Today, a render has appeared that allegedly shows the front of the HTC U12. It comes from a source without a history that we can judge, so needless to say, take this with a grain of salt. The image shows very thin bezels, and the handset is rumored to come with a 4K display. Other rumors suggest that a dual camera setup will adorn the back of the device. Under the hood, we should find the Snapdragon 845 mobile platform. With no room for a front-facing fingerprint scanner, that button might be placed in the back, under the display, or replaced completely with some other type of biometrics. HTC has slowly but surely been improving on the quality of its flagship models. Even so, the company usually seems to be one step behind Samsung. HTC fans are always hoping that the next flagship takes the company back to its past glory days. Perhaps that is what will happen in 2018 with the HTC U12. In order to buy HTC again, it would require having a 3.5mm headphone jack. get your s**t together HTC. It pains me a lot but their is no avoiding this. It’s like the removable battery feature that’s been long gone and I don’t think it will come back anytime soon. We’ll just have to deal with it. While this is a very valid stance, have you heard the USonic EarBuds through the USB-C port on the U11? I stopped using my Sennheiser IE80S, which I paid $450 for. If you max out your display brightness you can just about see the lines. Looks on par with the S8. 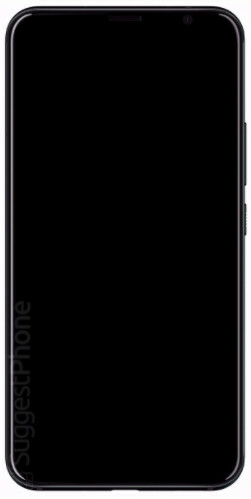 looks.... like an iphone, which i assume will be hard to distinguish with everyone going to the new aspect ratio... this is probably when samsung just made the s line and note curved, a subtle difference in what will be a wave of same same for us next year. Sweet baby baby can’t wait for this one to arrive. Hahaha...it's a black rectangle with rounded corners. This picture tells us nothing!!!! The only thing that the u11 was a step behind the s8 was it's huge bezels but other than that the u11 was the best smartphone during its time. You can already clearly see that with comparisons. Anyone hoping for the headphone jack to come back is a moron because all the OEM (including Samsung from 2019) are moving towards wireless tech so it's not coming back. Is their any reason to buy HTC phones anymore?If they can't commit to the US market than whats the point of giving them our money. They won't even sell their top tier phone to the US!. Thats a big slap to the face. HTC has to price a little below Samsung and Apple, be on all four carriers, and offer the latest and greatest. They need a flagship and 1 budget phone. They need to keep a branding, and stick with it. The M's and U's might not cut it. They need to add to their UI, have the best sound, and have a build that continues to stand out. HTC can do it, but they need to be consistent They aren't. .
There’s no denying HTC has had a rough go of it in the extremely competitive flagship space, and the company needs a hit on their hands to make a comeback.